28th MARCH 1915: OULTERSTEENE & PALM SUNDAY ‘DILEMMA’. 26th March, Thur. Remained in billets. Coy Training – physical drill, short route marches. 27th March, Fri. Moved Hd Qrs & ‘C ‘& ‘D’ Coys billets nearer to Meteren & Oultersteene. Company Training carried on, musketry instruction, physical drill, short route matches. 28th March. Oultersteene. Church Parade Service in the morning. Pte BERTIE HIBBETT: LETTER to MOTHER, 95, Foden Rd, Walsall. I want so much to write you a very, very ‘nice’ letter, but I regret to say I don’t know how to begin. Palm Sunday, and thinking about processions, the Brigade paraded to a fresh green field some miles away in the open country. British Army Marching in France. 1914-1918..
Our company marched gaily along in the sunshine & cold wind with our rifles & equipment. I am in a dilemma, this very moment whether to confess that I could hardly get some of the words out in your favourite hymn, so deep were my thoughts of you, dear Mother. I believe in giving way to one’s feelings & not keeping them penned up, yet ‘cast care aside’ touched me & I tried hard to think its my Duty to stick firm & not give in to imaginations & every high thing that exalts itself against principle. (3). I am serving my King and Country, & you dear Mother are, I am sure, proud to have done your share & I am proud to the excess that you have borne our absence from home these many weeks and months. ‘Trust’, again I repeat that motto ‘Trust in the Lord & he shall bring it to pass’. I will keep my eye on the knife, fork and spoon this time. I have seen the novel arrangement of knife and fork in Luton & almost expected you would send something of the like. I do feel so grateful & can’t express my thanks for your extreme kindness & constant thoughts & consideration. I should, & I guess Sid too, like more correspondence from Ida & a letter or two now and again from Dad. He takes the important bits in hand – of writing in his careful hand, as he generally does, our lengthy address, yet I should like a little more from him. As for Dodger, I guess he is enjoying hot beef & York pudding with vegetables and gravy, the meal he likes so much. I have replied to Harold’s letter I got yesterday, 27th, & told him Basil will miss such dinners. I thought it my duty to write & answer the small parcel of yours before setting down to my dinner of Bully beef, biscuits etc . Cyril Hind* has just had a parcel & given me a small piece of his cake as a sweet. I must tell you before I close that I got a lovely parcel from Fernliegh* (4) & enjoyed some of the contents, namely, Shrimp and Salmon Pate, Cadbury’s Mexican Choc. & Horlicks Tablets. Dear Mother this letter is getting long. I have written a long letter to Harold, so long that I’m afraid the censors will have their patience tried. So I must pack news in close, and brief. Sid has been on duty some miles away since Friday Reveille & will be pleased to see, on his return, something from Home & from his Bible Class. NB I have all your photos still & have them in a bonny little khaki case with gelatine to cover the photos. Sydney, Bertie and Basil: Abergele. .
and Ida sitting on a chair. I look at them now & again especially on Sundays. Our Colonel said that should anyone find anything of sentimental importance on the person of anyone wounded to death he must see that it will get into reliable hands to be sent to his home. The handsome tin comes in useful & we keep Harold’s things & Miss K.E.Brookes* things in, they just fit. You will be pleased that Sid, Vernon and I were together in the trenches last Tues. night & we are in this loft now with the majority of QMS boys, Norman Cope*, Cecil Jackson*, A.E. Brown*, Jones*, Cyril Hind* etc. Will close now & Harold will give you more news – & Sid. I hope you will get this letter – tell me. I have got all yours since we were in this country. You will be glad to know they came quicker than those sent to you. Bertie Hibbett gives no details of what he had just experienced in the trenches of Armentieres, but he is clearly in shock at the horrific reality in which he and his QMS pals are caught up. His ‘dilemma’ is more than wondering whether to confess his natural emotions during Church Parade. On Palm Sunday, the beginning of Holy Week, the hymn tells him to ‘Lay hold on Life‘ but everything is in utter contrast to anything he has ever known. To bring him ‘halfway Home’ all he has to rely on now are Family Letters & Food Parcels, his QMS Pals, carefully named, and the Faith in Christ his Mother has taught him. (1) GOC NMD: General Officer Commanding North Midland Division. GOC III Corps. (2) Hymns: Fight the Good Fight based on 1 Timothy 6.12. John S.B. Monsell, 1863. Our God, our Help in Ages Past: Isaac Watts. 1719, based on Psalm 90. [John Wesley altered the first word to ‘O God’]. The Church’s One Foundation: Samuel John Stone, based on the Apostles’ Creed, Book of Common Prayer, 1662 (a ‘statement of belief’ developed from the earliest New Testament preaching). Tune: Aurelia. S.S. Wesley.1864. [Hymn is said to have inspired Rudyard Kipling’s Hymn before Battle’ 1896]. (3) 2 Corinthians. 10 5. King James Bible. Pte Bertie slips into quotation of St Paul. [Saying appears in 18th & 19th Cent. Enlightenment Essays on the Principles of Human Behaviour]. (4) Fernleigh, Nottingham, home of Bertie’s Godmother, Mary Foster. NEXT POST: Ist April, 1915. 24th March: ARMENTIERES: STAFFORDS ‘BAPTISM OF FIRE’. 21st March, Sun. Lectured on Sanitation in trenches & billets. Inspection by Brigadier, 16th Brigade, 12.00 noon in Grand Place. Instruction in Bomb Throwing in afternoon. 2 Coys were to have gone into trenches at night, but owing to scarlet fever case would not have men in trenches. ‘B’ Coy went out digging communication trenches behind 1st K.S.L.I. (4). 1 man wounded. (2nd in Command & Adjutant went round trenches with Bgdr early morning). 22nd March, Mon. Batt HQ stayed down at trenches with 1st K.S.L.I. all day. Coys taught Bomb Throwing & Wire Entanglements. ‘D’ & half ‘B’ Coys went in trenches at night. Men mixed up with 1st K.S.L.I. & Buffs (5). 2 men wounded slightly. ‘A’ Coy (Pte Bertie’s Coy) digging Communication Trenches (with) 1st K.S.L.I. 23rd March, Tue . Coys instructed in Bomb Throwing – Construction of Breastworks (6) – Wire Entanglements. 0fficers shown billets Y & L. ‘A’ & half ‘B’ Coys relieved. ‘D’ & half ‘B’ in trenches at night. No casualties. 3 rifles burst. 24th March Wed. ‘C’ Coy not allowed in trenches sent back to old billets near Bailleul. MG section (7) went into trenches for day. No casualties. 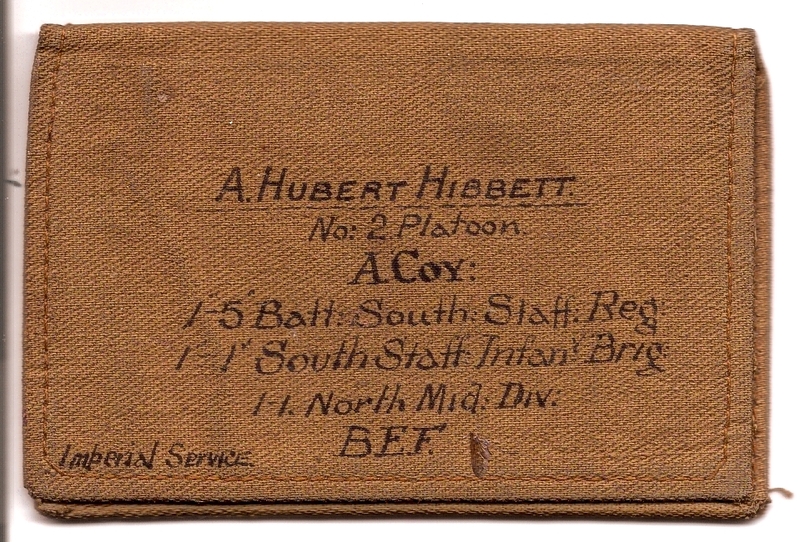 Pte BERTIE HIBBETT’S Own War Diary. A Little Book of Words and Doings. 24th March, 1915. ‘Trio (Sydney, Vernon Evans & Bertie) – on Listening Post’. 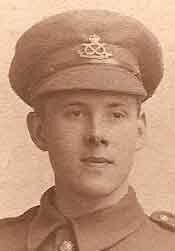 ‘Since I first went into trenches in France at Armentieres & was put on ‘Listening Post’, the duty has seemed to fall to me ever since.’ (8). LETTER to BASIL HIBBETT with Field Postcard to Mother, 95, Foden Rd, Walsall. (Both dated 24th but postmarked 27th March 1915). (H.W.Parr censor). 24/ 3/ 15 Wednesday Morning. 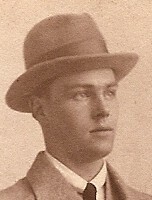 Basil Hibbett (16 in 1915).. I started writing to you yesterday, on the note paper with flags on, to celebrate Herald our first night in touch of the enemy. But my writing was bad, & another thing Harold sent me a ripping box of good things, rather in the chemistry line, with the exception of chocolate and cigs. Sid and I enjoyed the malted milk tablets in the trench. We lay snug in the dugout & I wrote to Harold by the candle light (see My Memories. 1967 below). I got Mother’s letter posted 19th on 22nd & read it with deep interest. Sid read it too. I guess you felt sad on hearing of Capt. Haylands being killed (9). Sid and I received letters this morning & I just read Mother’s last letter posted 22nd. So this last has come pretty quickly. We are all very busy cleaning muddy rifles and rusty bayonets. Sid’s has no longer that brightest of bright lustre on his bayonet. Yes we have got well into the box right now tell Mother, there is only the oxo & cocoa & cigs left. We enjoyed the dates and chocolate immensely, all the more because they were from Home. Field Postcard: 24th March 1915. Do please forgive me if you do not get so many & so lengthy letters as before for times are getting busier. To allay your anxiety I will send you a field post-card to say when we get your letters & when one of ours is coming. Hello. It puzzles me where and what & how came the photo PC of our home. I come to the conclusion that Harold has got a PC sized camera? Talk about miniature ranges. How jolly to see him in his uniform (10). (By-the-by Harold’s letter was quite a long one & so jolly interesting). Yesterday afternoon we went to see the different construction for entanglements & dugouts. We all had a peep inside a sniper’s dugout & saw the little window he peeps & fires through. To realise that I have at last experienced actual warfare – a kind of baptism of fire – is somewhat wonderful. ‘Trust in the Lord and he shall bring it to pass’ is my motto & it will do for you too with regard to your exam & it will do for Mother & all of you. Just a batch of dear Mother’s Currant Bread & a few of Ida’s Queen Cakes & if you like some butterscotch will be kindly received – Ha Hem! – No don’t. I think you cannot afford it, parcels are so dear. Yet Sid and I need most of all a change of clothing – 1 shirt, 1 pair of pants. Could you afford to send them? I might say I was beginning to feel in the dumps a bit before I knew your letter had come & was only thinking that letters from Home, especially from dear Mum, do so make a cheerful change, & to read even a line from Dad is delightful & takes me halfway home. ‘They’ say we are being relieved tomorrow night but don’t know where we are going to. I was on Listening Post again last night with ‘Charlie’ H(arrison)*. I think he likes it because we have all the daytime rest with perhaps a sentry duty for an hour or two & there might crop up a little fatigue. I slept I believe from about 9.30 till a little after 2 o’clock today & shall try & get 40 winks before ‘Stand To’ tonight so that I can be on the alert tonight on this Listening Post; which is like a small trench running underground, reminding me of the pit (11). I will close now although I have an idea I could say more of what I intended saying. You see I prepare the next letter in my mind during spare time. Well I don’t know how ever I managed to acknowledge letters from York, Nottingham, Sutton & home but I have, either by Field PC or letter. I guess Miss Bore* will tell you about my letter to her next time she sees you. 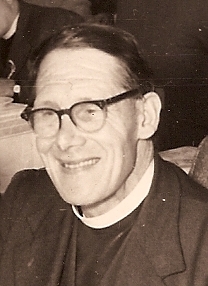 The Revd. Arthur H. Hibbett. MY MEMORIES OF THE FIRST WORLD WAR. Lindsey Association for the Elderly. 1967. ‘My first experience of being in the trenches was at Armentieres. The trenches were water-logged and we had to walk on ‘duck boards’. We had no gum boots, as they were called, and I remember slipping off a wobbly board and getting my leg soaked. Being a ‘tender foot’ I thought our first experience of trenches would be postponed because of the rain, but not so – we bravely set forth and went into the dug-outs. I remember writing a letter home and a frog leapt over the lighted candle and put it out. (See ref. to Harold above). 1/ 5th South Staffords experienced Trench Warfare for the first time: 21st – 25th March, 1915. It is not surprising that the young soldiers thought the rain would prevent them! – it had happened when training in Saffron Walden. (See Letters dated Feb. 1915). 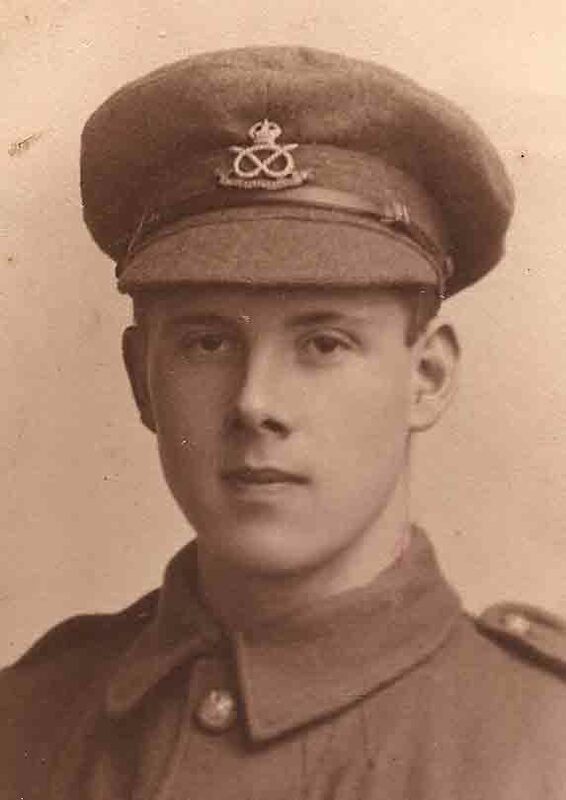 Pte Bertie Hibbett (‘A’ Company) dug Communication Trenches with K.S.L.I, through the night of 22nd March and was relieved on night of 23rd. Were the 3 Casualities wounded by their rifles bursting I wonder? NB: The Long Long Trail < http://www.1914-1918.net/intrenches.htm > gives a clear, comprehensive description of Life in the Trenches. 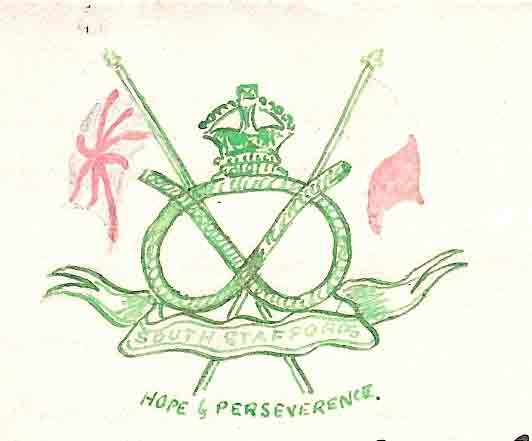 (4) K.S.L.I: Kings Shropshire Light Infantry. 5) Buffs: East Kent, Regt. (6) MG: Machine Gun. (7) Listening Post: an underground tunnel into No Man’s Land for listening for enemy laying bombs. (8) Breastworks: when water levels were high ( e.g around Ypres) shallow trenches were dug and walls built up (revetted) with sand/mudbags and wood. Walls could be used as storage spaces or for firing holes. (See Old Sweats useful website). (9) Capt Haylands (unable to trace). (10) Harold Hibbett (chemist/ photographer) was either a member of the Inns of Court Reserve Corps formed in 1914, which consisted of former members of the Inns of Court Rifle Volunteers or he was a member of the Inns of Court Officers Training Corps (I.C.O.T.C.) London Regiment. (11) Bertie Hibbett mining surveyor apprentice, is referring to a Walsall Pit (lime pit or coal mine). 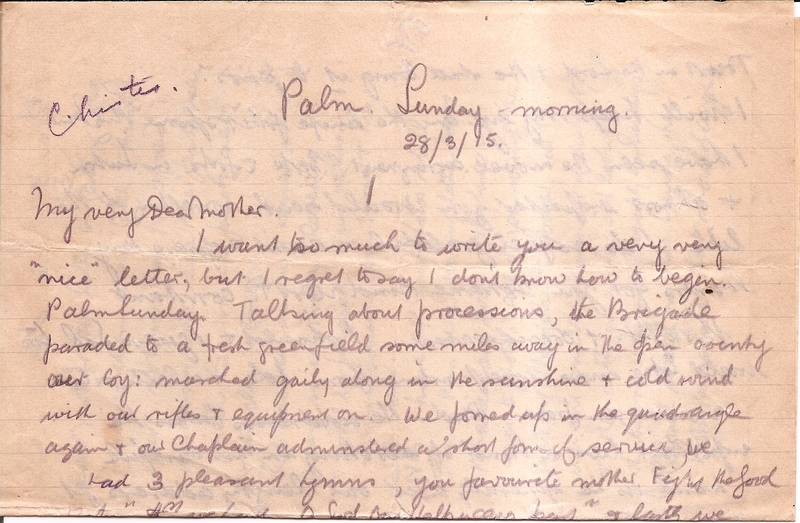 NEXT POST: 28th March 1915 to be posted Palm Sunday 29th March, 2015. 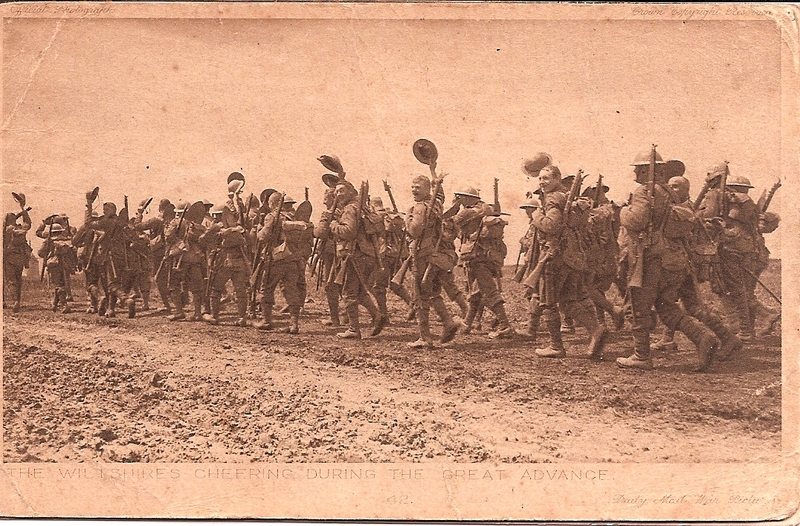 SOUTH STAFFORDS MARCH TO THE FRONT, March 1915. Route March: &&&&; Front Line: XXXX. 15th March Mon. Received orders to move billets, Batt paraded but move postponed for 24 hrs. Moved out of billets & bivouacked in fields. Trench digging practice with entrenching tools. I man found to have scarlet fever. C Coy isolated. 16th March Tue. Yesterday’s move re-ordered. Parade 9.00 am. Marched towards Oultersteen. Received word before reaching there that our billets taken by other Units. Had to wait in field till new billets found at LA BECQUE, 2 miles S. BAILLEUL. Pte BERTIE HIBBETT to Father & Mother. 95 Foden Rd. Walsall. Wednesday, March 17/ 15. In Another Barn. Up in the loft by the lamp I was standing when Sid gave me three letters – one from Miss Foster*, posted 14th & another from Auntie Pattie*, posted 14th & one from Mr J. Irving* posted 15th. We have seen the postman today after a long march without a rest (4). The morning was delightful and bright. Vernon Evans and all of us here are talking about letters not reaching their destination as soon as they thought. But the postal arrangements I believe are doing their best. Yes, dear Mother I’m sure our safe, comfortable & peaceful crossing & safe arrival was in answer to prayers at home. I shouldn’t be surprised if you had ‘Eternal Father’ hymn in Church or Sunday school. Well, I won’t tire the Censor so must close. I pray often that you will not be anxious (especially with regard to news in the papers). I am in need of a khaki handkerchief chiefly. Don’t send any money please. Our combined wishes to all. PS NB Last sheet of this note. Please enclose one sheet in your next letter if you want a letter in reply. (censored H.W. Parr*). Judging by the opening line of this letter, Bertie’s parents must have asked him to say exactly where he was when he received his Letters from Home. (1) St. Eloi: 15 miles away approx. (2) Field Marshall Sir John Denton Pinkstone French, 1st Earl of Ypres. 1852-1925. 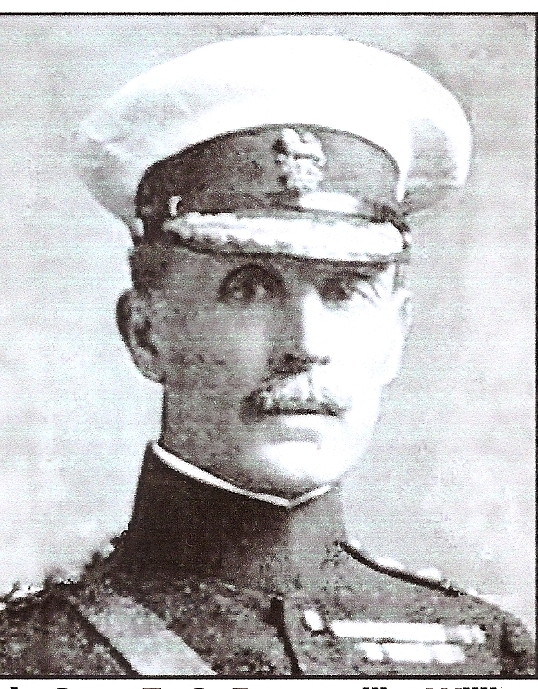 Anglo-Irish Officer in British Army (55 yrs). Served in Boar War, became Chief of British Expeditionary Force, 1914 -1915 and Lord Lieutenant of Ireland, 1918. (3) Letters from Home could be as little as 2–3 days. (4) Route March total mileage: Arneke to La Becque, 33 miles approx. (5) Mr R.S. 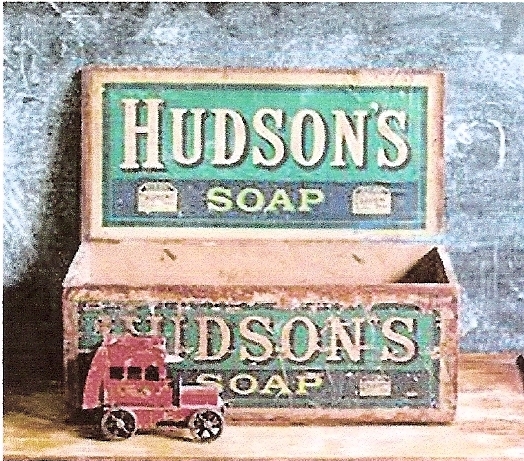 Hudson founded the Hudson Soap Company, New York in 1837. (Illustrated box measures 15 x 8 x 6 inches, strong enough to stand on, of course). *Starred Names: see Menu Page. NEXT POSTS: 24th & 28th March 1915 will be posted on 28th & 29th March 2015. 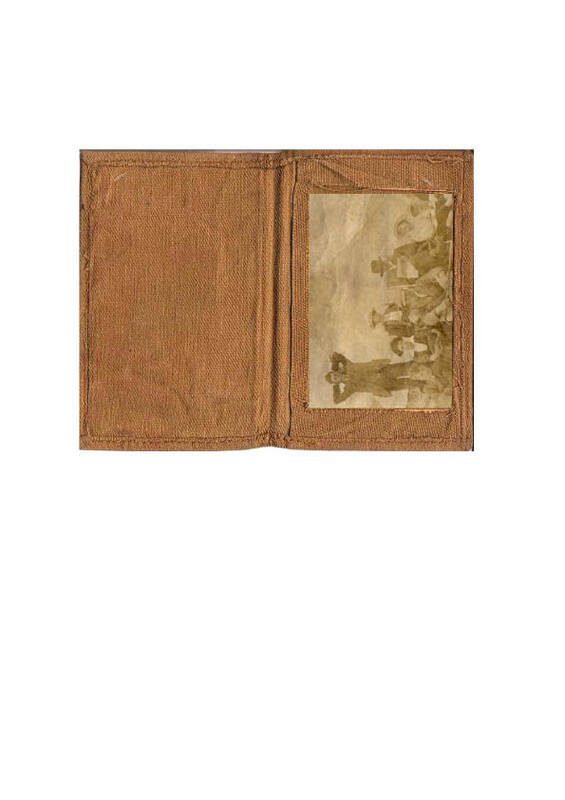 13th March 1915: TROU-BAYARD, ESTAIRES & LETTERS FROM HOME. March 6th 2.25 a.m. Train left. Travelled via ROUEN-Monterolier – BUCHY – ABBEVILLE – CALAIS – St OMER to ARNEKE. Arrived Arneke started detraining at 11.30 p.m. finished 2.15 a.m. This long time detraining was due to there being no dock available for transport of horses. High ramps had to be used down to ground level. 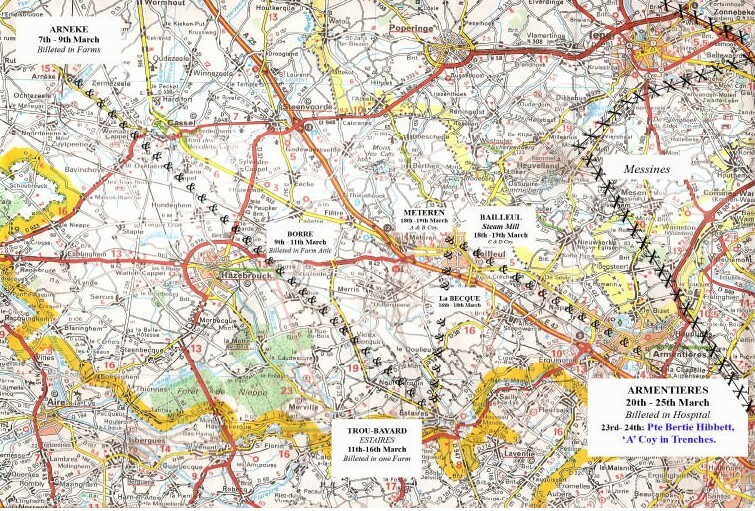 1/5th S. Staffords Route to the Front, March 1915. 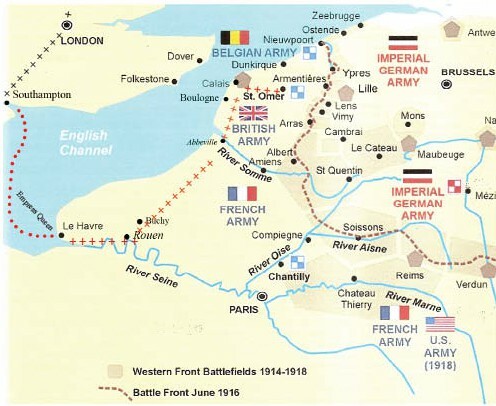 (Map adapted from ‘WW1 Battlefields of the Western Front’ website, with thanks ). Not to scale. March 7th ARNEKE. Finished detraining 2.15 am – went into billets in farms – rather scattered, some Coys 2 miles apart. March 8th: Remained in billets – a few billets changed for better ones. Lecture by G.O.C. N.M.D. all Officers & Sgt Majors. Coy Inspections. March 9th Tue: Marched 9.30 am about 13 miles to BORRE arrived 2.30 p.m. Very slow halting march, a great deal of traffic on roads. Billets in farms better than before. Left cooker with broken pole at Arneke (1) Warned to be ready to turn out at 1 hrs notice. March 10th: BORRE. Remained in billets. Coys did physical drill & short route marches. Sent to Arneke for cooker – didn’t arrive. Drew 250 pairs of gum boots. March 11. Thur: Received order 10.10 am to be ready to march at 11. am – were actually ready at 12.0 noon. Marched at 1.0 p.m. leaving behind fur coats & surplus stores – by order – marched about 12 miles arriving at 8.00 p.m. Very halting match, great many troops moving on same & cross roads. Whole Batt. billeted in one farm, 1 mile from ESTAIRES – called TROU-BAYARD. 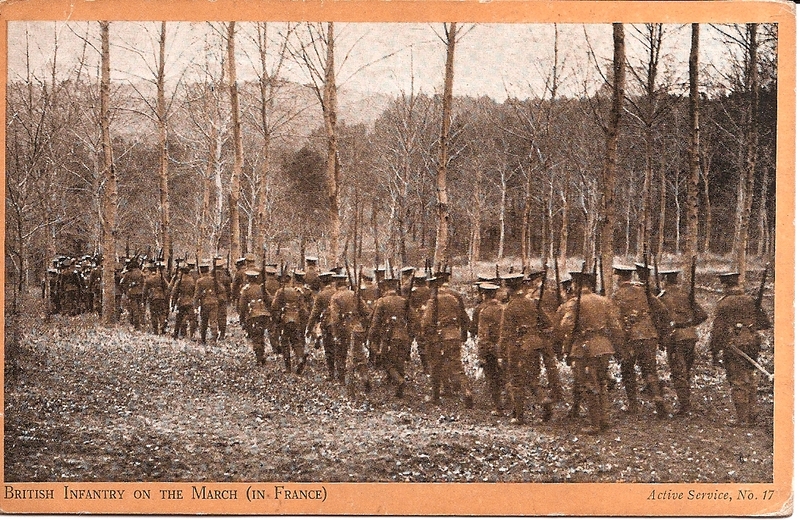 Infantry on the March in France: Hibbett PC Collection. 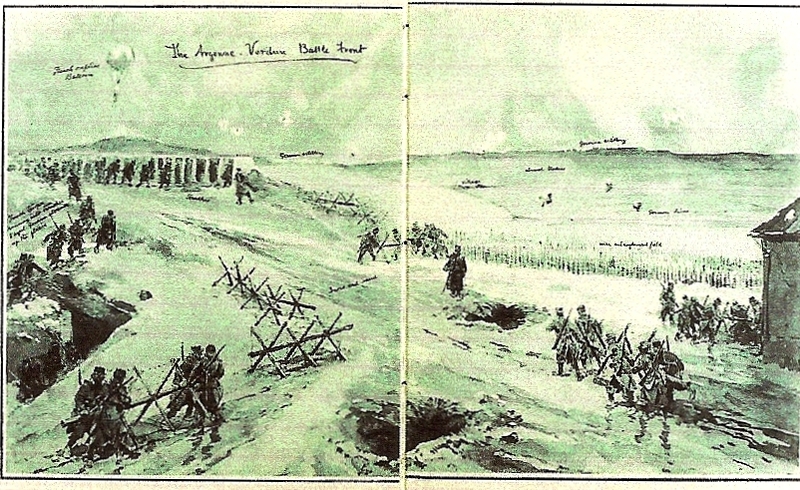 March 12th Fri: Remained in billets, warned to be ready to move at any time from 6.0 a.m. Short route marches by Coys. Physical drill – Coy drill. March 13th Sat: Remained in billets –warned to move at any time from 5.30 am. Short route marches. Later warning to move at 2 hrs notice. Cooker arrived back from Arneke. Pte BERTIE HIBBETT: LETTER to Mr & Mrs A. HIBBETT, 95, Foden Rd. Walsall. Censor WE Wright. 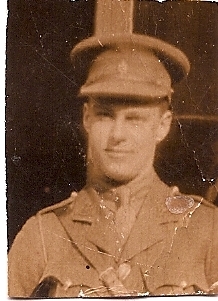 BASIL HIBBETT in QMS OTC uniform, 1915 or Manchester Regt 1918? We should like to see him over here, but you dear Mother, you have done your share & its nice to think you have your youngest and eldest sons safe. I have had a very good dinner & am at peace with all the world, except the G—mans. The guns have been sounding all the time we have been here & aeroplanes have been constantly flying about. We marched to this barn on Thursday & reached it at dark (5). So we have slept in it two nights now. I guess you look forward more to our letters now. I am running short of note so it would be a good idea if you could put a sheet in the next letter you send, like Mrs Penning did. You were very kind in writing to her. Father, & you I guess, know that we shall not be able to write often now. So do not be over-anxious if you don’t receive a return letter to any of yours. I suppose Dad got the French newspaper? I am afraid of writing more for fear I say something the Censor (6) will not pass & consequently you will not get the letter at all. You were very kind in asking if we wanted anything. I hope you will all spend a pleasant Sunday & give a smile to the laddies of Sunday School for me, ha! ha! I received a P.C. from Mrs Brookes yesterday. Best love to all, Your ever affec. son Bert. Railway Route to the Front marked + + + +. Front Line at Ypres Salient, in 1915, was largely the same as in 1916. 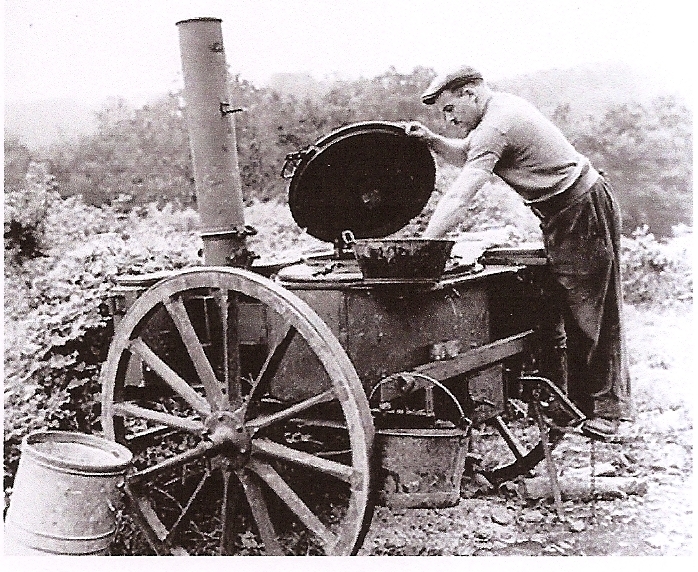 (1) ‘Cooker’ was most probably a Field Kitchen. (2) Borre, 10th March in a farm attic. (3) First Letters received since March 1st. (4) Basil’s QMS Cadet uniform? (5) Whole Battalion in Trou-bayard Farm near Estaires. (6) Censor: Captain W. E. Wright. NEXT POSTS:17th March; 24th (x 2) and 28th will be posted late owing to unforeseen circumstances. 5th March 1915: IRON RATIONS, FUR COATS & THE QUEEN’S SOCKS. 5th March. 2.0 p.m. Received orders to entrain at 7 p.m. at Point 3 Gare des Merchandises. Transport Ship arrived in morning – joined the Battalion at Station. 1 Corp. 2 men 2 horses left behind lost their way in Havre. Issue of Rations in Station caused some confusion, especially Day Rations & Iron Rations being practically identical, consequently many Iron Ration consumed in error. 6th March 12.25 am. Train left. Travelled via Rouen-Monterolier – Buchy – Abbeville (halt 3/4 hour via Boulogne – Calais – St Omer to Arneke. 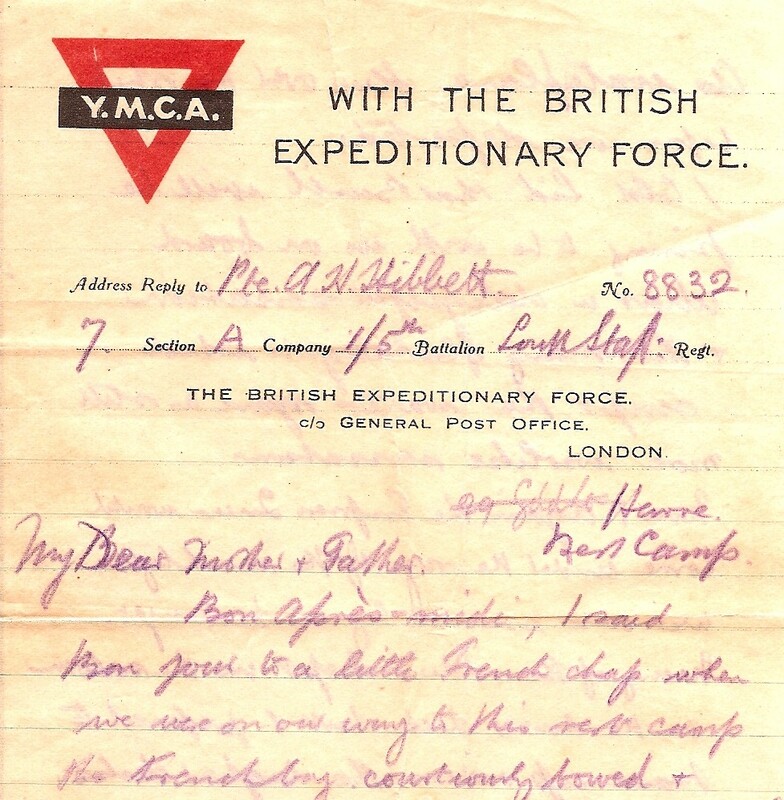 Pte BERTIE HIBBETT: YMCA headed LETTER to IDA HIBBETT, 95, Foden Rd Walsall. You know my address, I gave it to you twice. Take care you do not lose it. I had a very comfy sleep in the bell tent last night. Yes, back to rough camp life again, not so many conveniences. I have just managed to get through the crowd in this place for a cup of Hot Malted Milk & it was worth while waiting for – so delicious. Vernon and I are with 10 others in the tent. We thought we should get with the picked lot in which Sid was in too at first, but he is not far off. I am in the pink. We were served with socks (see note from Buckingham Palace) & fur coats. I wish I could have had our photos taken. 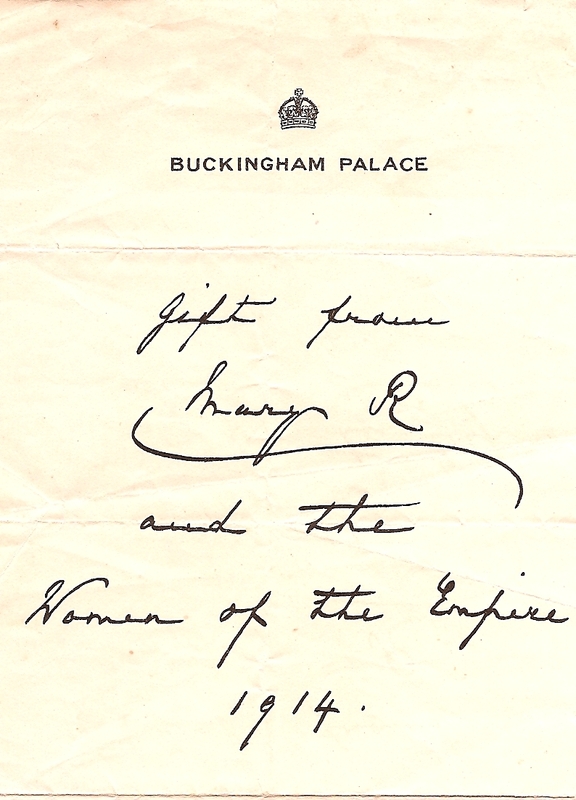 Letter finished on the back of a Note from Buckingham Palace – ‘Gift from Mary R and the Women of The Empire 1914’. March 5th /15 – I expect to get a French newspaper (1) this morning. I will send it off to Dad when I get it. (1) ) Le Monde most likely. NEXT POSTS: 13th March 1915 (to be posted early owing to unforeseen circumstance; the rest during last week of month. March Welcome Page has been updated see also S. Staffordshire Officers & M, with photo of group in Tavistock St. Luton. 1914. I would be grateful for names. 3rd March. Reached HAVRE 1.0 a.m. disembarked 7.30 a.m. Marched 4 miles to Rest Camp. Under Canvas. Transport not arrived being on a different ship. Drew a few Camp Kettles, 50 for whole Batt. all new blankets 2 pr man. Fur coats & warm clothing issued, almost all articles of store not drawn at home were issued. Interpreter joined. Not having Transport with Battalion caused considerable inconvenience. If possible it would seem better to keep Unit complete for transportation. Pte BERTIE HIBBETT Mr & Mrs A, HIBBETT at 95 Rue de Foden, Walsall. 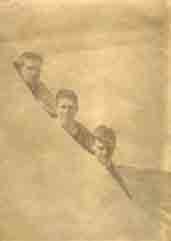 Envelope 3rd March (4 x 3 ” ) Censor C. Lister. Bon Apres-midi! I said ‘Bonjour!’ to a little French chap when we were on our way to the Rest Camp. The French boy courteously bowed & touched his hat and said, ‘Bonjour monsieur’. 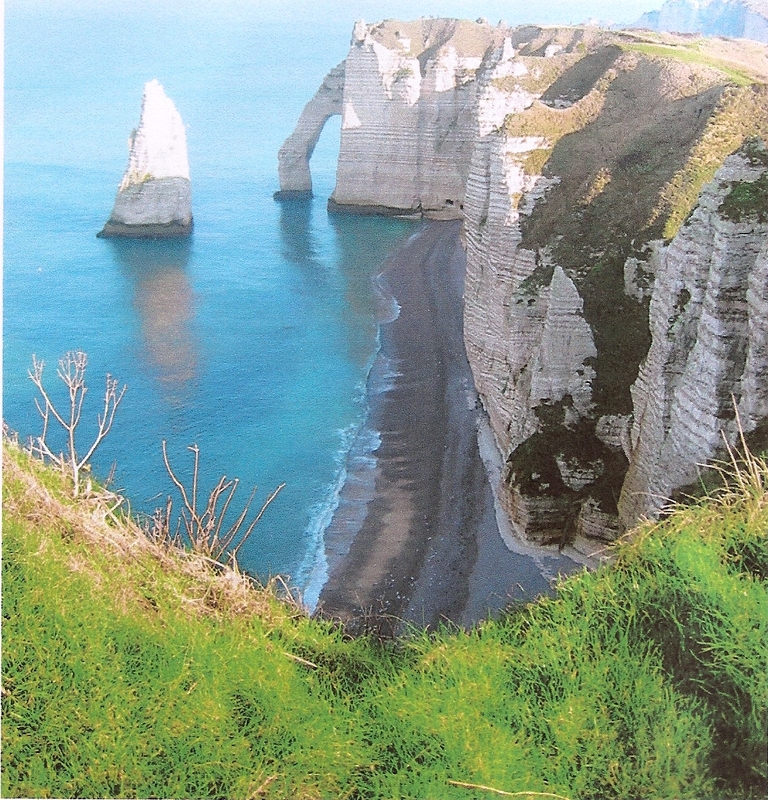 We are in France at last – to think of it – arrived here about 1.0 after a delightful passage. I thought of you all as we cheered to those we left at Southampton – leaving dear old England & making for the Channel. A water plane (3) flew over the ship before we departed. I told Sid that Basil will be pining to be with us on board. What a delightful sensation – & the many flashlights which swept the water gave us a still more warlike sensation. Now and again the Empress Queen would come under the rays of the search light. Many of the soldiers slept in the saloon on the lower deck, but I preferred to pace up and down the higher decks & look out to sea. When the boat was half way across, I could see no sign of land, but just the white track of foam the ship left behind. The sea was comparatively calm & the moon shone bright at times. The boat did not rock enough to make me seasick, but when it first began to roll the sensation when walking on board was so queer that I soon made for the side and sat down. I soon got used to the rocking & after a time paced up and down like an old Jack Tar. We have by the grace of God had extremely good luck. The day has been fine and the journey delightful, but what disgraceful sanitary conditions in the streets of this French town. We have had a chat with a Hindu of an Indian Regiment. He has conversed with us in English. We have been doled out with sheepskins and oh I should like to have sent you a photo of us! Well I shan’t have another chance of writing long letters. Best love & good wishes. God bless you all. (1) SS Empress Queen: chartered by Admiralty from Isle of Man Steam Packet Company, Feb. 6th 1915. Regarded as largest, fastest paddle steamer ever built: 1,994 passengers and crew of 95. Fairfield & Co., Govan. 1897. (Wrecked off Ring Rocks, Isle of Wight, 1st Feb.1916, carrying troops home, all rescued ). (2) YMCA ‘Young Men’s Christian Association‘. Founded by George Williams, draper, London, 1844 ‘to provide safe accomodation for young people drawn to city by industrialisation’. Christian principles re- ‘Body, Mind & Spirit‘ symbolised by red sides of logo triangle. (3) Sea-plane of type used to raid Ostend. (4 Guglielmo Marconi, radio pioneer,1874-1937. 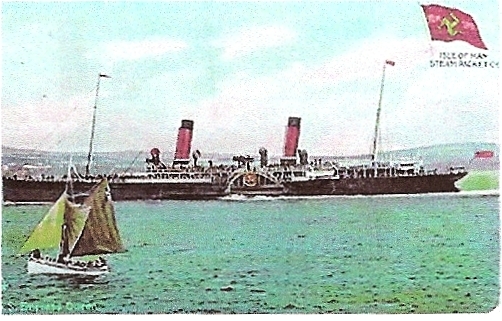 SS Empress Queen first steamship to install wireless telegraphy. (5) Whitby & Abergele alternated for Hibbett annual holidays. (6) Bell Tents. NEXT POST: 5th March 1915: Havre, Fur Coats & Buckingham Palace Socks. Welcome Page update. March 1st 1.30 am. Entrained by half Batt. arrived SOUTHAMPTON 8.15 am detrained on Wharf. Transport sent straight to Rest Camp. 72 horses and only 21 men allowed to remain to look after them. Batt. remained in Wharf sheds for night. 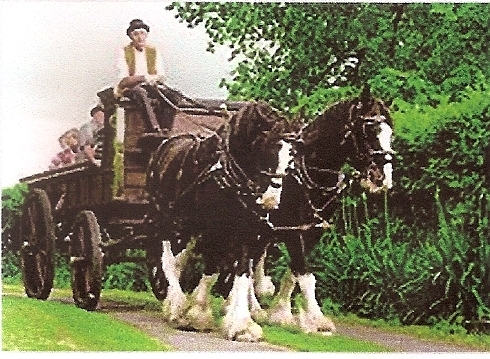 English Horse Trucks unsuitable for Clydesdales unable to pack them close enough , as the animals are too long, consequently 5 horses fell & got trampled in the trucks on the journey, this caused this delay. 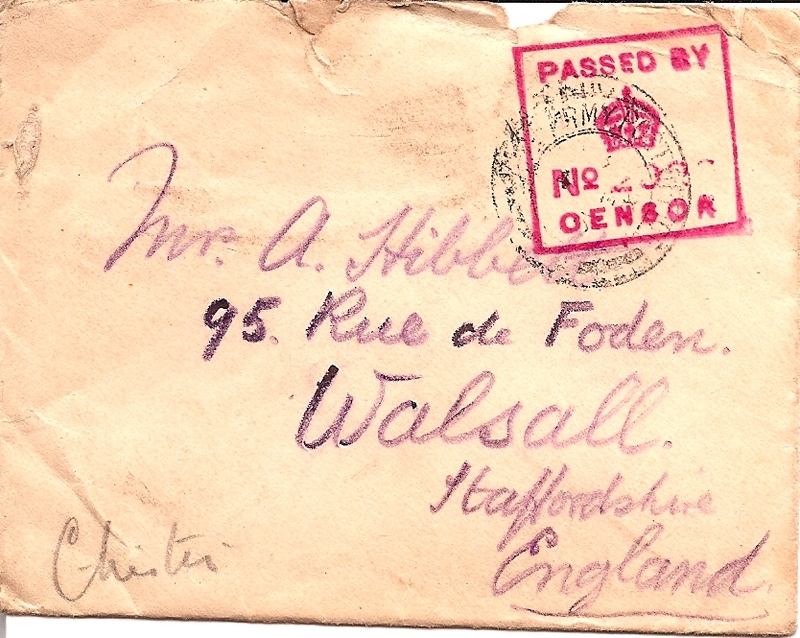 Pte BERTIE HIBBETT: Plain Postcard to BASIL HIBBETT, 95 Foden Rd Walsall. March 1st 1915 S———ton . Arrived 8.30. Marched on the Quay. The bright blue sky overhead – the big ships at the quay side and the choppy water made everything breezy and pleasant. There is a Red Cross Steamer in the harbour, painted with white and red. Everyone is trying to write letters – on each others hats, against walls & seats & boards – seated anywhere. Others are drinking coffee. I had a cup – tasted as though it had been made with sea water! Had one of Mrs Penning’s cakes to take the taste away. 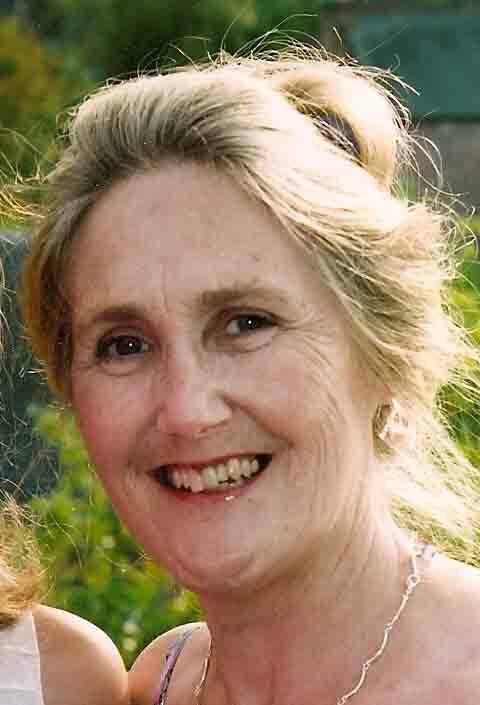 Mrs Penning* was very kind and made us sausage rolls – lovely pastry. She is sending my parcel carriage forward. This morning reminds me of Ernest Lagden*. I had a letter from him. I believe I told Mother he is ill with rheumatism. Sid and I were on guard the Thursday he heard of Leave (2) & I heard Sid was the smartest and tallest & neatest. He had his bayonet shown on high as an example of cleanliness. I will close now. Look out for a censored Field Postcard. I do not know when we shall embark. Ta Ta. Best of luck in the exam. Bert. PS Yes I remember you saying that it was a year ago that you were confirmed. Thank Mrs K. Brookes* for her PC and tell her we are not allowed to say where we are in the field, but I will send a Field P.C. I bought some apples, oranges and bananas, as well as biscuits so I shall be all right. I shall not be able to say much, if anything at all, except that which is on the P.C. Requisitioned Horses for the Army. 1915. (1) Clydesdale: draught farm horse to drag heavy guns & equipment. (Usually bay colour with white marking /cross between Scottish mare & Flemish stallion). Photos: website: The Role of Horse in World War One. (2) Sydney must have been on very short Home Leave when Bertie wrote Ida’s PC. 24th Feb.1915 & hoped he could bring the Eng.French Conversation Book. NEXT POST: 3rd March 1915: Havre Rest Camp. Bayonet 1915Clydesdale HorsesEnglish Horse Trucks 1915Field PostcardsMrs. 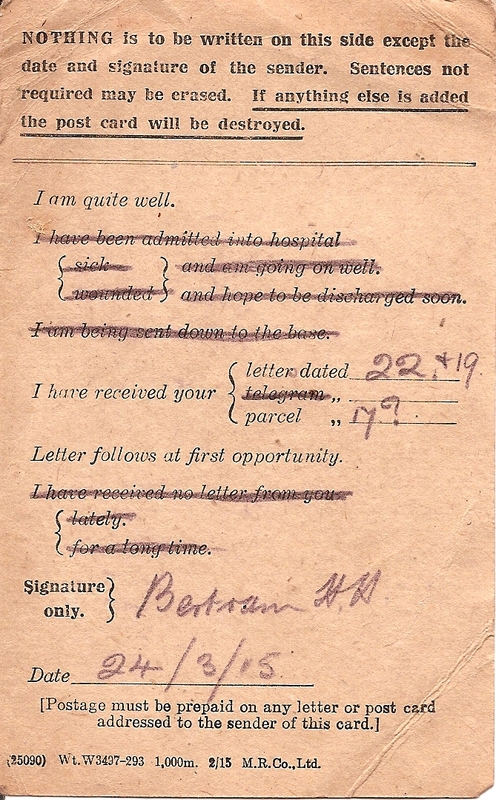 A.PenningsRed Cross Steamer.Southampton 1915War HorsesWriting Letters Home.